Chopped after almost 22 months! 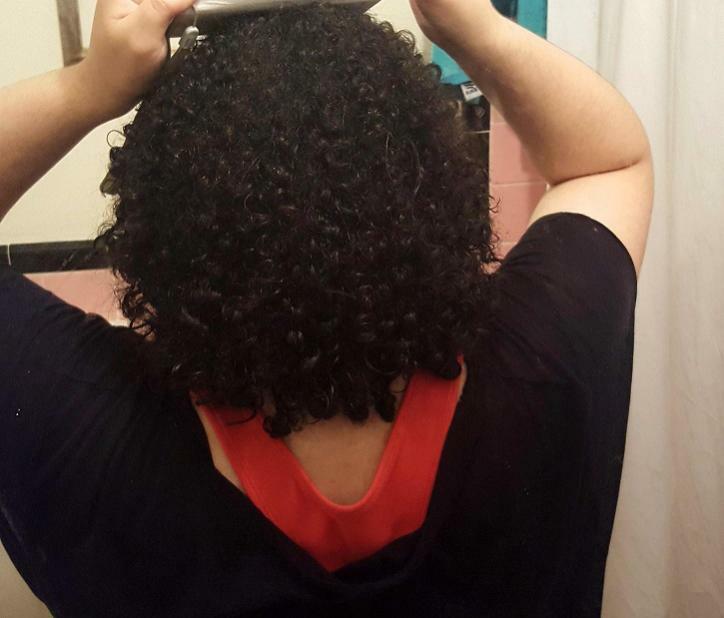 Last night, after almost 22 months of transitioning, I locked myself in my bathroom and an hour and a half later I had chopped off all my relaxed and heat damaged hair. I had been slowly cutting off my ends over the past year and have maybe cut 8ish inches in that time and last night I cut off probably 10ish. I have had long, straightened or relaxed hair most of my life so this is definitely going to take a bit of getting used to. Especially since I get like 50% shrinkage (ugh!) But I was so sick and tired of spending 2 hours washing and styling every wash day only to have it look horrible and throw it up in a ponytail or bun the whole week anyways. I don't regret chopping and I'm proud of myself for lasting almost 2 years in transitioning hell lol! 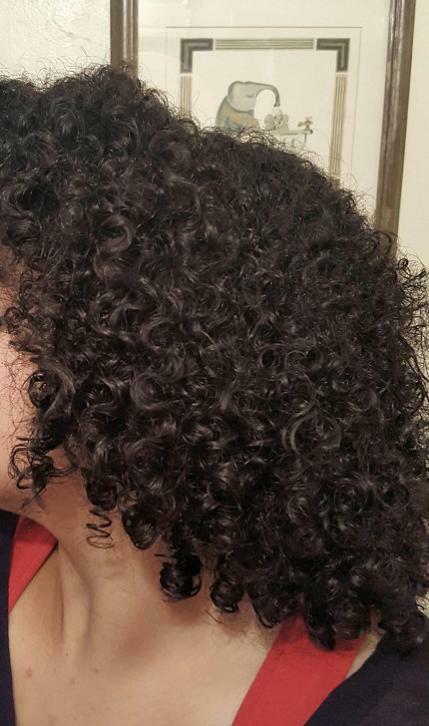 The first 2 pictures are from my first couple of weeks going CG and the last 2 are from today with my hair 90-95% dry from my first natural wash n go, a year and a half after going CG. I still have some straight bits but I'll get those later. I think I'm 3B or 3C depending on the section of hair. Opinions? It's beautiful. I love your curls and yes, I think you're a 3b or 3c. Only my mother and brother have seen my new hair in person and 1 friend from a picture I sent her so I don't really know how it looks to others. Yeah, 3B/3C. It's lovely! Don't worry, the amount of us here that will love it will more than make up for your brother's non taste in curls (I say the same thing about my mother). I LOVE it!!! Looks healthy and I can't believe how well you framed your face and made it even in the back yourself! Great job!! Thank you all so much for the kind words! It's very comforting given this huge change. This website and the people on it have been so helpful during my transition. I'm surprised it turned out fairly even all around. I guess that's the fruits of going curl by curl even though it took forever. I refused to military chop like I saw some youtubers do. Honestly, it's kind of a bowl cut lol! The shaping you have in your avatar pic looks better than mine did after my last visit to the hairdresser! I think you deserve a big pat on the back. I'd say your curls are 3c all the way, and very healthy looking. Very healthy looking hair... I'd say 3b/3c. I think my hair will look pretty much JUST LIKE YOURS once all my processed parts are gone. Today I chopped about 2 inches off.... I've been cutting away slowly for the pass few years. what a transformation! i love both your curls and your cut! it certainly does not look chopped but just a very good cut. 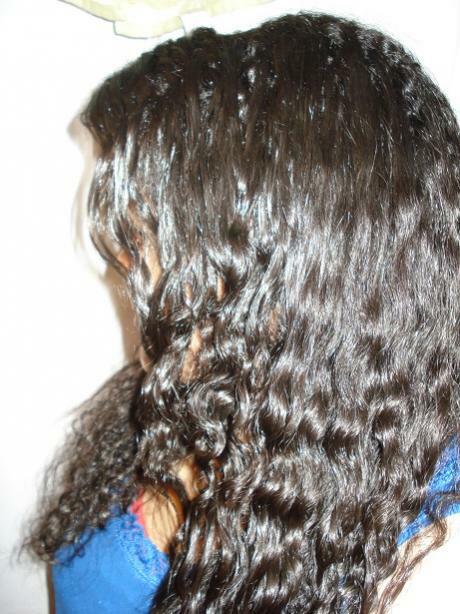 Beautiful curls!!! That's an amazing cut for doing it yourself! I wish I had the guts to do that. Your hair looks great! Beautiful curls. Thanks so much everyone! You've all been complimenting the cut but honestly I didn't actively put in a style I just cut where the relaxed and natural met and it just happened to fall pretty nicely. The only part that's a little wonky is the bangs area because my hair is naturally denser, curlier, and slower growing in that area.